If you’re a rabid Science Fiction fan, especially of the written word variety (vs film, television, graphic novel, etc. ), you know doubt already know about the current Hugo controversy. If you aren’t and are curious, I’m sure google can fill you in (recommended reading in that case would probably be the dialog between George R. R. Martin and Larry Correia, as well this for a mostly neutral perspective). Not going to talk about that. Not today, anyway. What I am going to comment on is that today, maybe despite the controversy, or maybe so I could be more than a bystander, I have taken the plunge and paid for Worldcon supporting membership. Why? For two reasons, really. Second, because loaded ballot or not, voting still has an impact. I’m tired of being a part of the fan community on the sidelines, and want to exercise my one vote per member right to sway who pulls through in each category. OK, lot’s of other words to put together still. 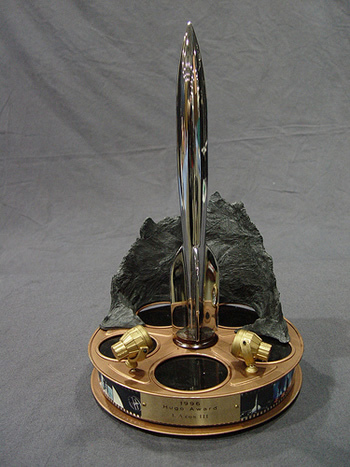 Here’s hoping the Hugo’s survive this year’s controversy intact. As I write this, 2 more authors have withdrawn their names to disassociate themselves. By the time the ceremony gets here, there may be no one left for me to vote on.